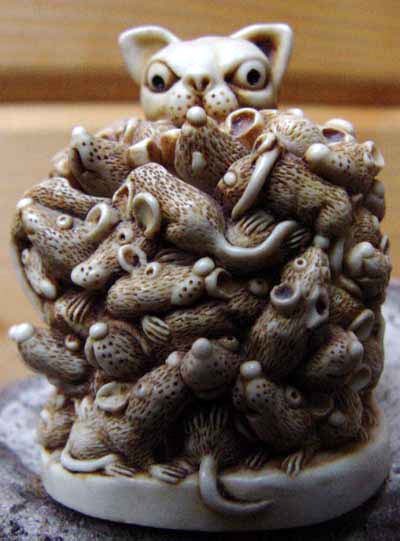 It starts with one statuette... and before you know it you have a collection. 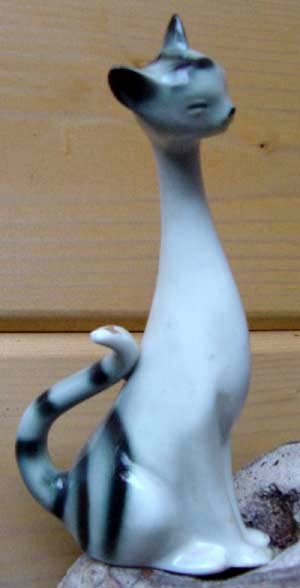 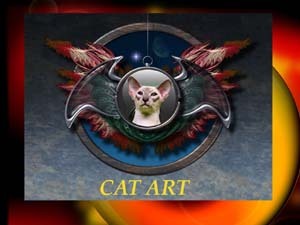 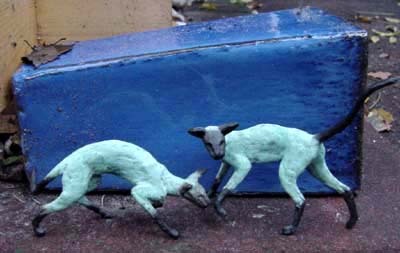 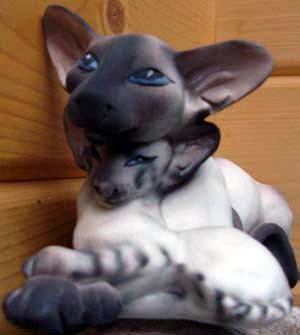 We are always looking for figurines of Siamese and Oriental Shorthairs - sometimes real art but most of the time kitsch. 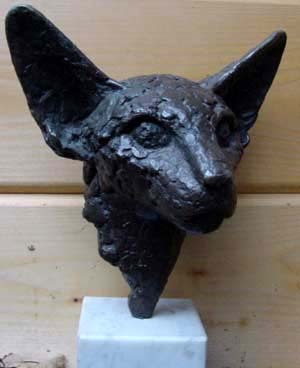 In the meantime our collection includes some dozens of statuettes and we needed to buy a show-case on one hand because there was no place left to put them and on the other hand to protect too vulnerable objects against our furry rompers. 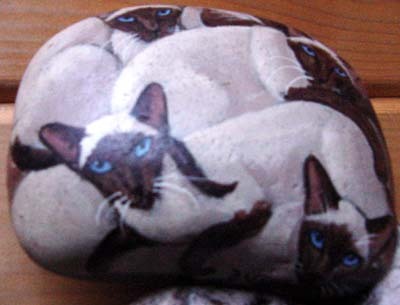 Somewhere in the sixties the collection started with a painted boulder by Sylvia Scheen. 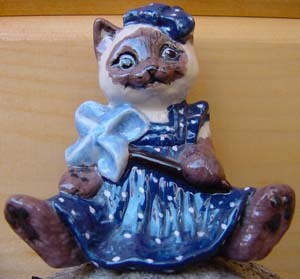 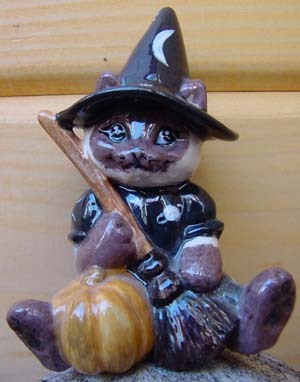 The English Leolee figurines of Sandra Soper are very special and somewhat a caricature. 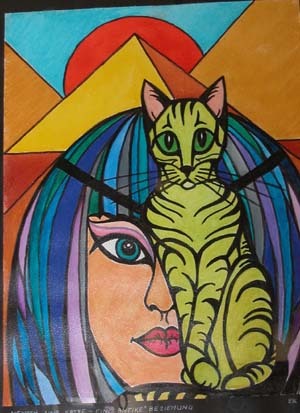 Speaking of caricature: this one we bought at the Supreme Show, Birmingham, England! 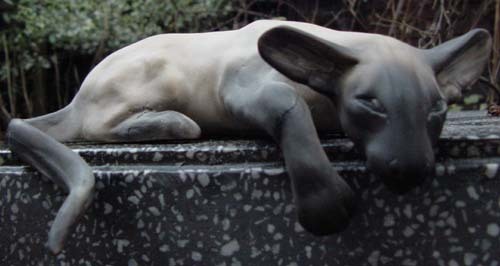 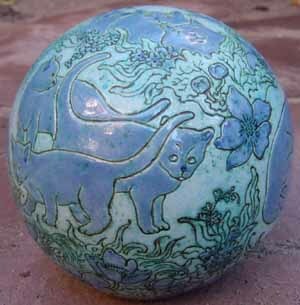 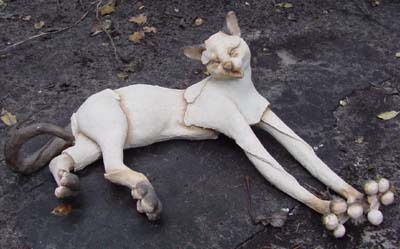 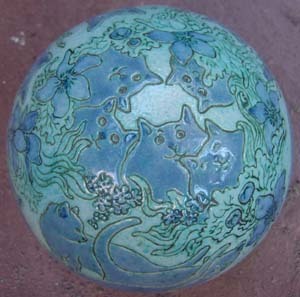 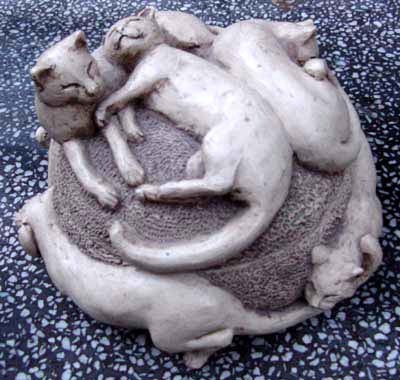 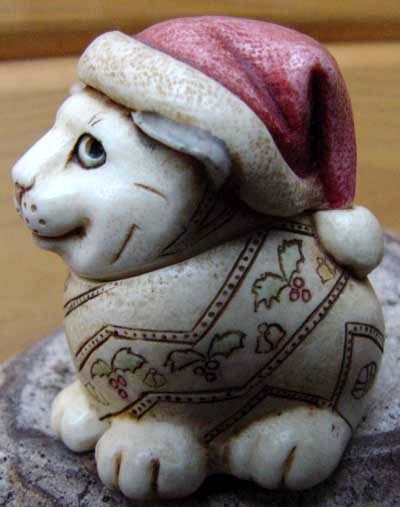 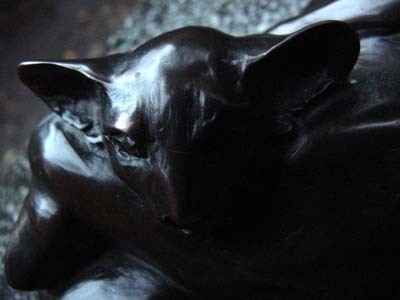 * the green cat left, made of alabaster, origines from Italy and was a gift from a beloved friend who sadly passed away. 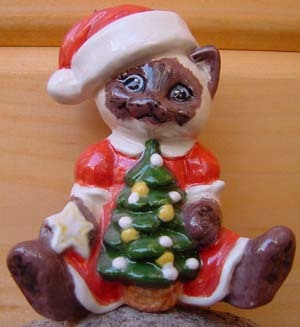 Another friend gave us the antique little cat on the right. 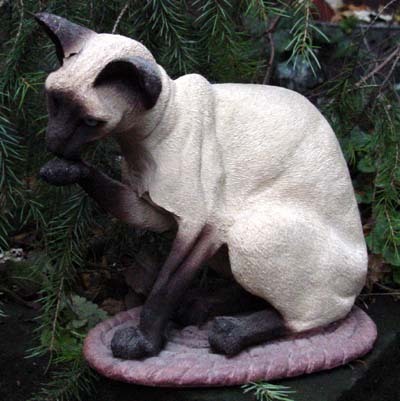 We bought these statuettes - there is one for each month of the year - at the National Cat Show, London. 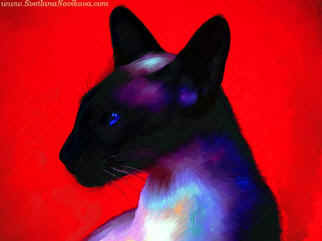 This one we bought at a Dutch show from a lady who already knows us and always tells us when she has something new in Siamese! 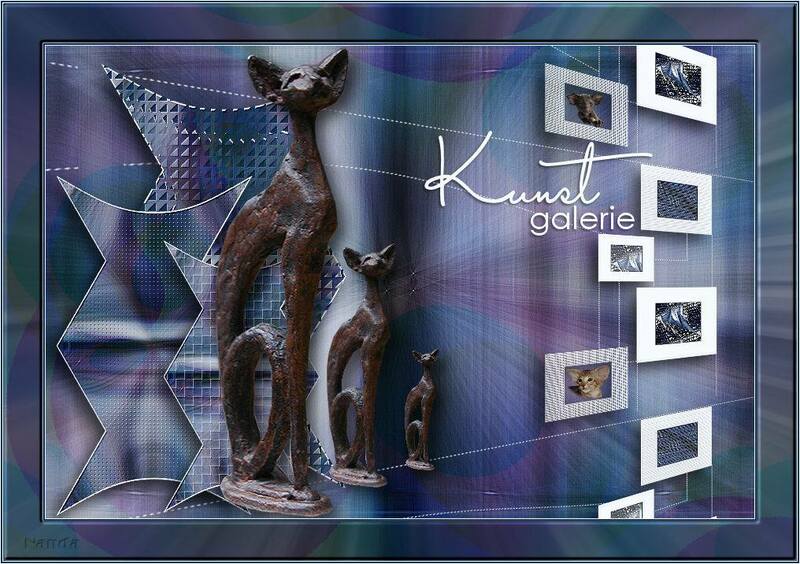 During the art exposition 'Felis in Arte', Antwerp, we bought this unique painting, made by Eva Maria Klasna, Germany. 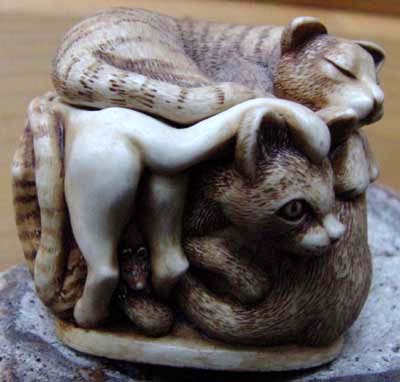 It is called: 'Men and cats, an 'antique' relationship'. 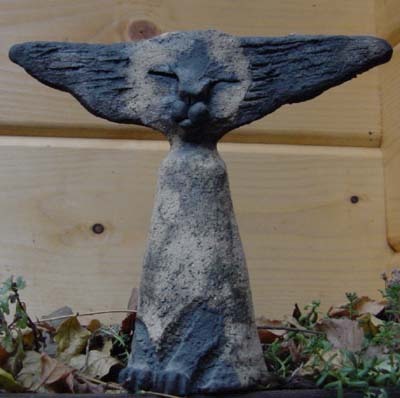 Our latest gain is 'Sasha'- again from England, Country Artists. 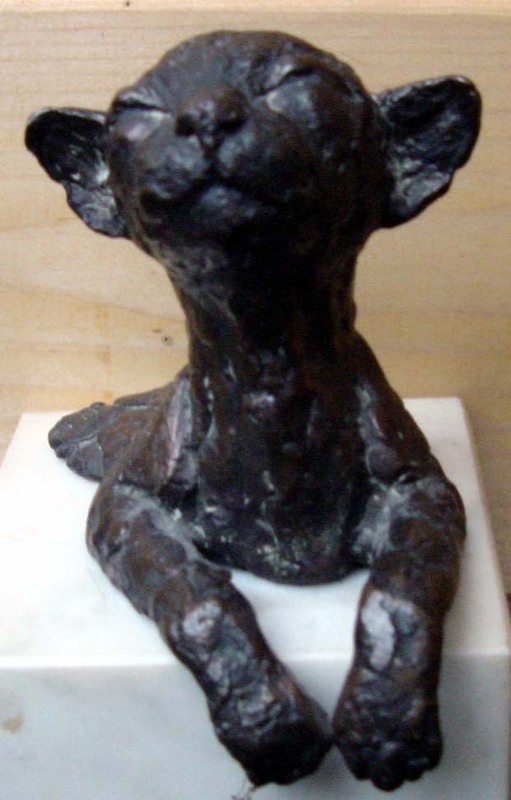 This statue is called 'felis wakeus', a breed apart. 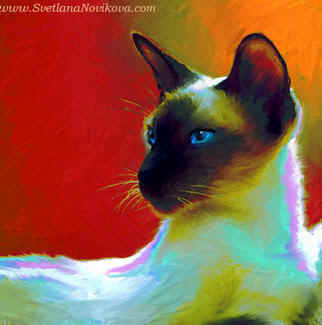 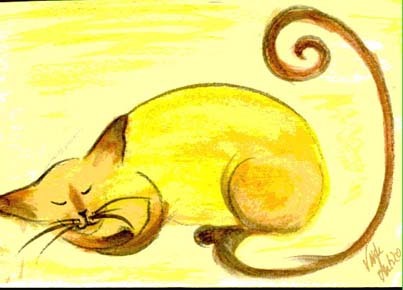 Through the internet we bought this proud Siamese from the artist Svetlana Novikova, who is a Russian, living in America.